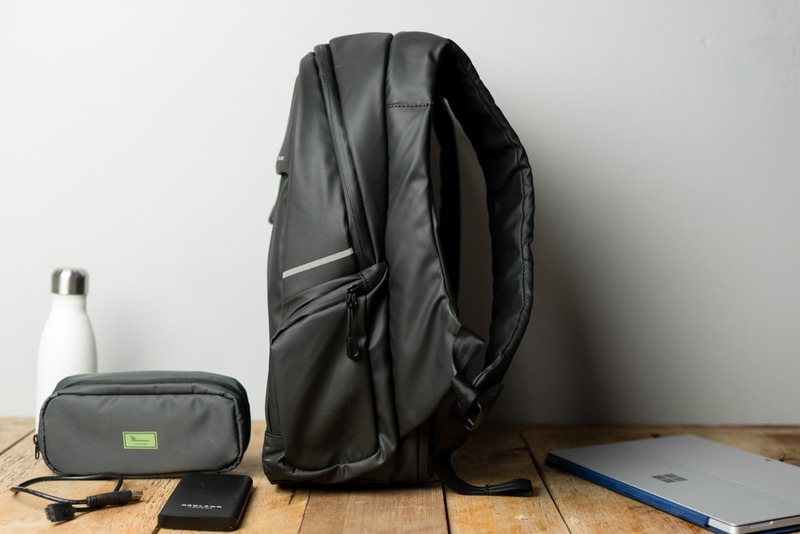 A few weeks ago the folks at Redland very kindly sent me a review copy of their new Jonah backpack which, at the time of writing, is available via their Indiegogo campaign. The first thing I noticed about the bag was how light it was. I’m used to carry-on size backpacks feeling heavy without any contents but the Jonah, even with the battery in the bag, felt different. The second thing I noticed was the accompanying goodies. 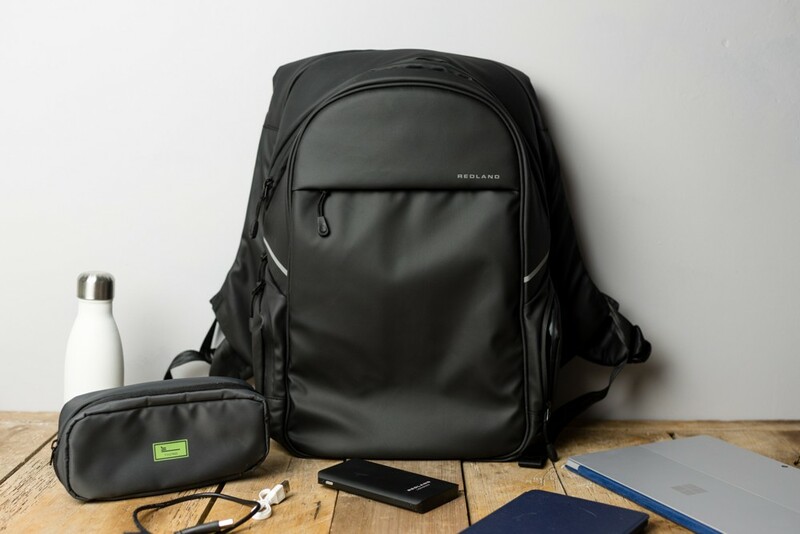 This isn’t billed as a carry-on world travelling all-conquering bag but is designed for those amongst us who leave the house to head into the urban jungle with laptop and accessories. Consequently, the battery charger and cable pouch are very welcome additions to the backpack. The pouch easily holds a MacBook charger, plug, and cable with room to spare for other adapters, USB sticks, presentation clicker etc. The battery also has its own internal compartment which allows you to connect it to a cable which is then accessed via one of the external “ear pockets” on the side of the bag. The battery is big but given how slow smaller options are to charge I see this as a bonus. 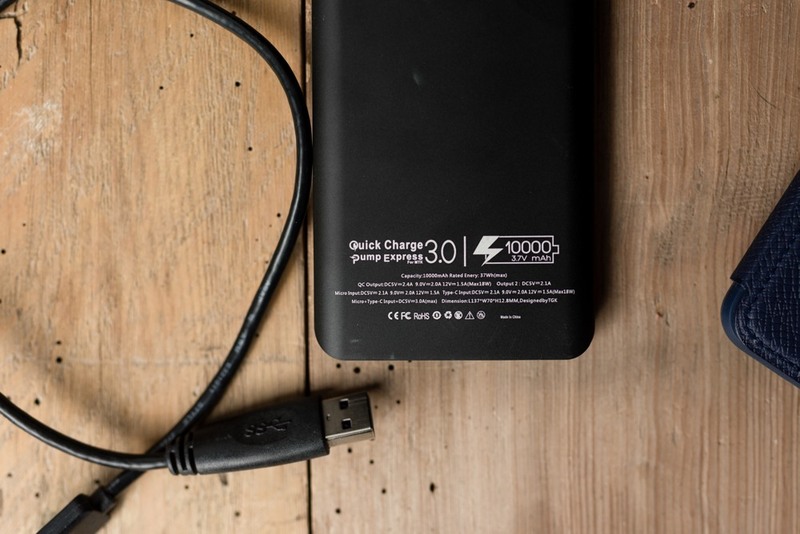 According to Redland, the pack will allow you to recharge your smartphone up to six times. You can also charge multiple devices at once which is a nice touch. Once drained the battery will be recharge in four hours. The lay flat section is easy to open and again offers a number of pockets/sleeves for your use. It can easily accommodate a laptop and tablet. This section also has an exterior pocket on the back panel that makes it secure and easy to access with the pack on your back. I chose to drop my laptop in complete with a case which meant it was a snug fit but I’d be equally happy to ditch the laptop sleeve and simply slot it in the main section. 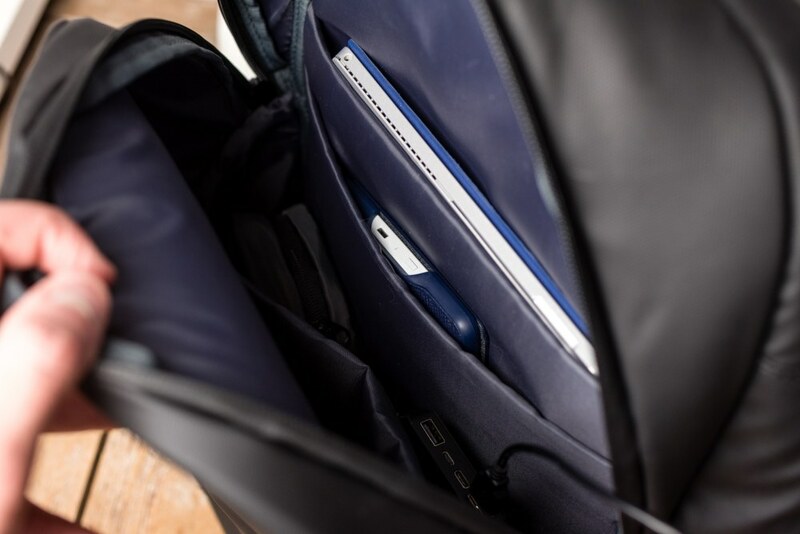 The main carry section is roomy and again features a selection of pockets for pens, notebooks, etc. 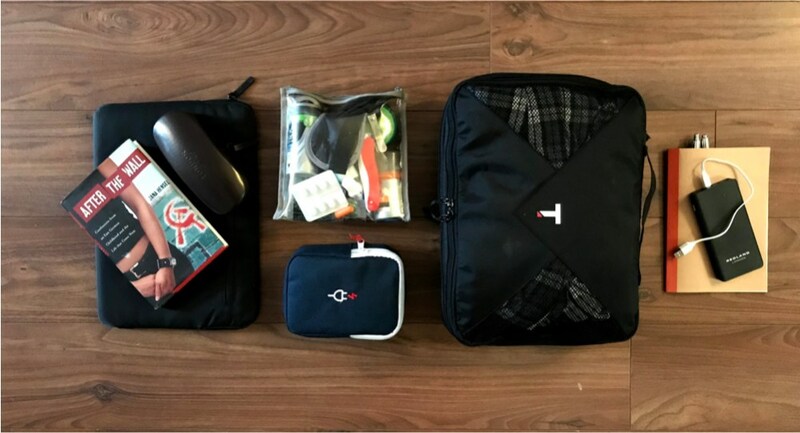 I trialled the Jonah on a weekend trip to London and managed to fit a full packing cube, toiletries, notebook, reading book, and more in (just). It’s ideal for an overnight but anything more and you might need a bigger bag. Again it’s worth pointing out that it isn’t billed as a long stay away backpack but can be used for short trips. My only issue with the bag was that I wished the zip was a little longer on the main section — at times I found it a little hard to pack but again this is probably more me than the bag. Finally, the front of the backpack features an RFID blocking pocket that you can use to store, and protect, your bank cards and passport. I tend to prefer these pockets to be internal, or more hidden, for security but again this is a personal preference. That said there are other “secret pockets” that you can use but they are not RFID blocking on this model. It’s billed as waterproof and thanks to the English weather I can testify to its effectiveness. I was rained on for a solid twenty minutes and the bag repelled the water with ease. Depending on your climate this will be a great feature. There’s a couple of nice additional touches worth mentioning. First, the straps — these are very comfortable, perhaps some of the most comfortable I have tried in a while. The straps also feature a carry handle on the top of the bag which apparently can double as a trolley handle i.e. enables you to hook it over the extended handle of a pull along suitcase. Secondly, there’s a retractable key tether concealed in one of the two “ear pockets” I mentioned earlier. A nice touch if you are prone to mislaying your keychain. I like the Jonah — it’s an extremely comfortable and spacious day pack that is well and truly waterproof. The abundance of pockets gives you plenty of organisational options and you can easily throw in an overnight’s worth of clothes and toiletries if you need to. Finally, it’s worth mentioning the price — $79USD (around £55 GBP). This is a steal for a bag of this nature. 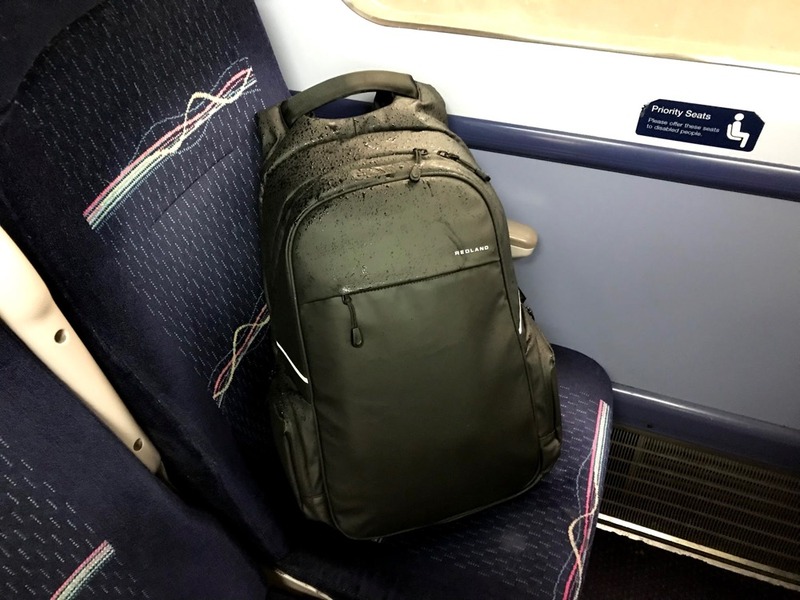 It’s not uncommon to see backpacks in the multiple hundreds these days so this is well worth considering if you are in the market for a new urban daypack. Thanks to Redland for the opportunity to test the Jonah. I encourage you to check out their full range on their website.